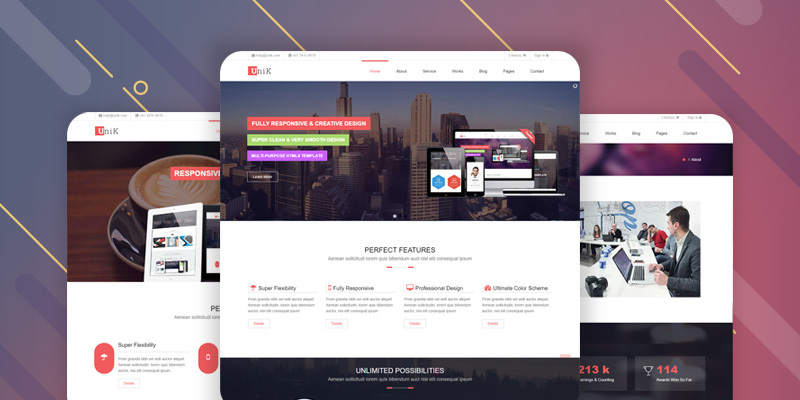 Unik – A Premium Website Template Developed by Jewel Theme. We have included some necessary section for any type of Business Websites or Corporate Websites. This is a fully customizable Website Template and you can easily customize all section of this Template. 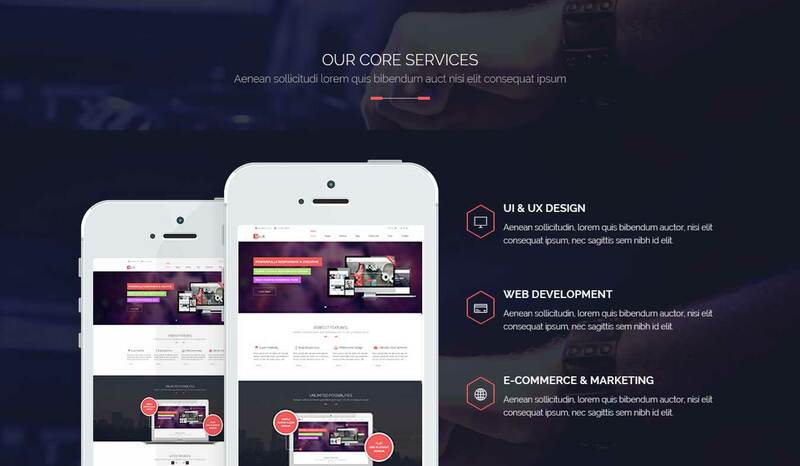 Unik Designed with modern Web Design Trends and Developed with clean & professional coding style. If you are going to start a new business or like to update your present business Website then Unik is the winning choice for you. Unik Designed for any type of modern device. It will adjust with every mobile, laptop, tablet, iPad, Desktop. 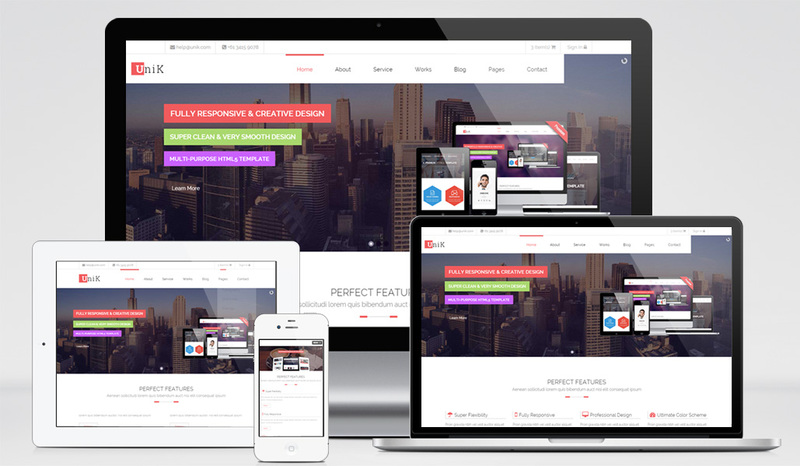 Responsive Design make your website to standard for your each and every audience. This Multipurpose Website Template provides an awesome Menu style. You can place every necessary section of your website into this menu section. 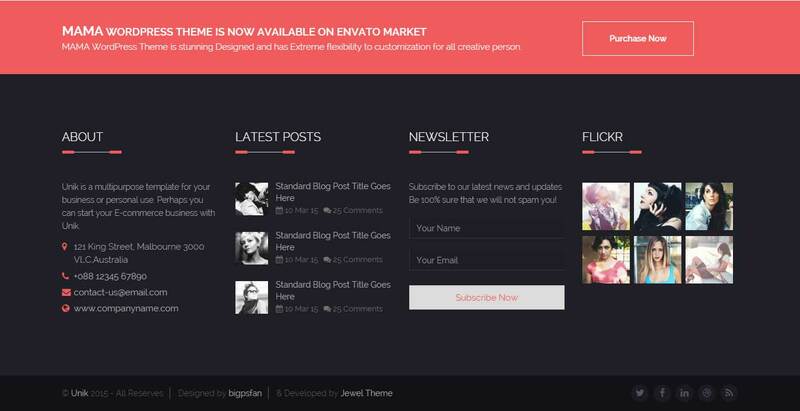 It also provides a mini slider, this will help you to add your products or services. We have added an awesome slider into Unik Website Template. Easily customizable and helps you to showcase main features of your Business. There is a section named "Perfect Features". Just add some best icon with some text content here. Express details about your business target and features. Add your latest project here, so that people can see how you work. This section is necessary for every startup business or old business Websites. There is a section named Core Service. This section based on express about your main service or product. Just write down your main services here and try to attract more audience. 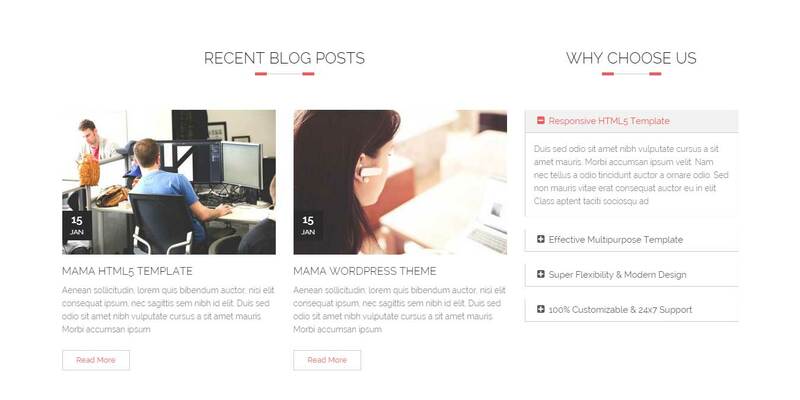 Display your latest Blog Post in this section with FAQ. FAQ helps you to express yourself. You can tell your audience, why they should choose you or why you are one of the best. We have put a Team Section for you. You can showcase team member with photos, designation and social media accounts. We know that showcasing Team member to your visitors is necessary for trust. Your Twitter tweets will be automatically visible into this section. Just add your twitter ID and Twitter feed section will work automatically. This is necessary to make sure to visitor that you are active on social media. Client Feedback is important for business improvement. Put down here your Clients Feedback with your Happy Clients. We have added this section so that your visitor can see your previous clients feedback. In this Cool Facts section, you can insert a summary of your business. Tell your audience how many projects you complete, How many clients you have and so more. And the awesome Footer Section is very special of this Template. You can create an announcement into the top red section. All color can be editable. In this footer section, you can add your flicker photos too. Design and Code quality is great. Easy to customize.